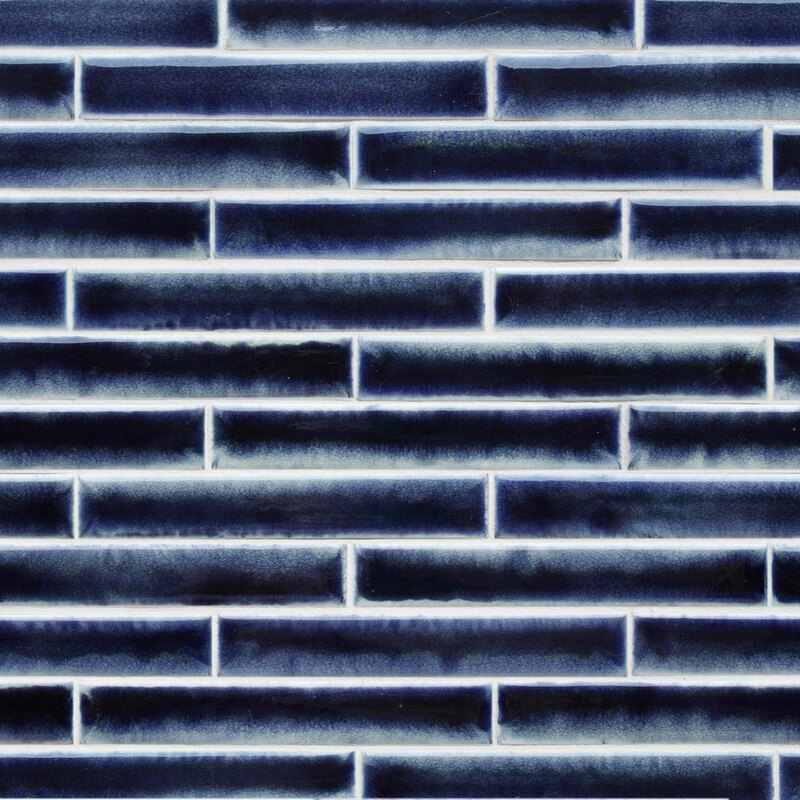 1×6 Broken Joint mosaic is shown in Cobalt crackle. 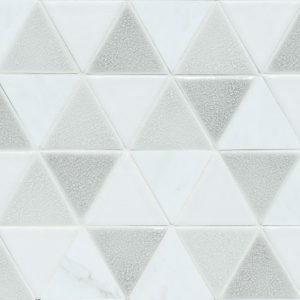 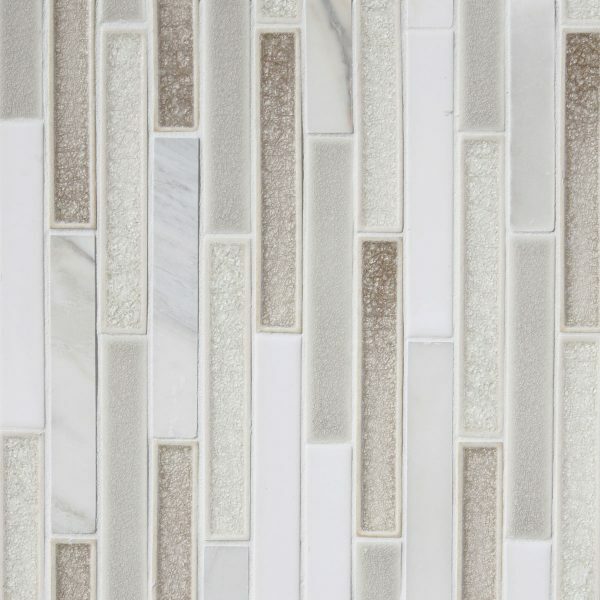 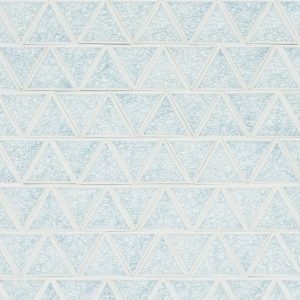 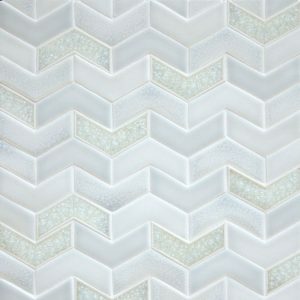 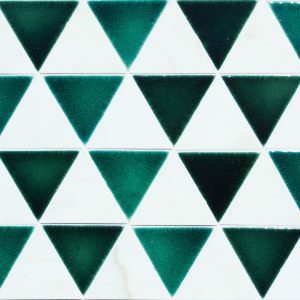 1×6 Broken Joint mosaic is shown in Calacatta 902 blend: Calacatta marble, Martini jewel, Glacier jewel, Mint crackle, Milk gloss. 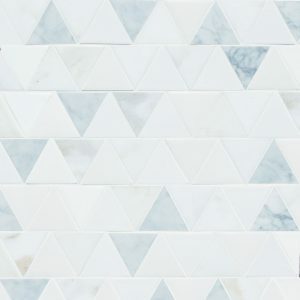 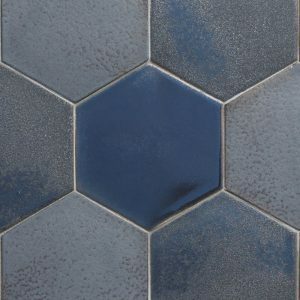 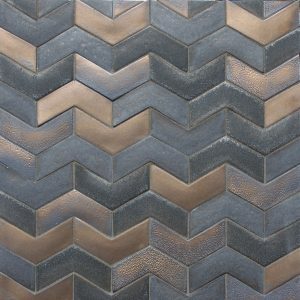 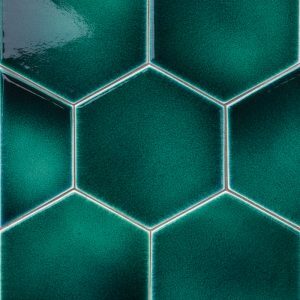 1/2×6 & 1×6 ‘Halves and Ones’ Broken Joint mosaic is in Shadow quartz, Silver crackle, Glacier jewel, Bianca matte, Limestone.